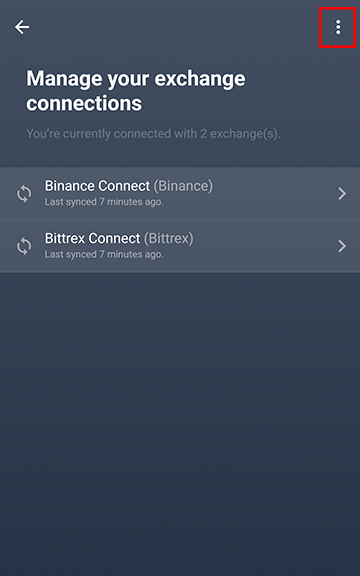 How often are exchange connections synced? You can choose how often you would like to fetch data from your Exchange Account Connections. Tap on 'Fetch new data' and select the time interval between every background re-sync attempt. (For better battery life, fetch less frequently). The default is set to 'Every 30 Minutes'. You can also sync manually by tapping on the double curved arrows to the left of the connection name.